Flame Busters Online Slot: Amazing Wins for the Taking in 5-Level Free-Spins Bonus Game! Flame Busters online slot by Thunderkick could very well be a real-money betting game that players would play over and over again. Striking wins via matched symbol combinations is an easy feat, since 3 or more identical images need only to align in adjoining reels starting from the leftmost position in order to strike a win. Achieving such goal is made even easier by the occurrence of Fire Symbols, which are stacks of Mystery Icons that always reveal identical images in one or more reels. A random base game feature called Fire Drill increases the number of Fire Mystery Symbols in a related spin-outcome. Once activated, the feature chooses one or more Coin Totems to transform as Fire Symbols; naturally augmenting the number of identical symbols in view. That is only the tip of the iceberg so to speak, because in the 5-Level Free-Spins Bonus Game, there is a likely chance all five (5) Coin icons will transform into Fire Symbols. Flame Busters online slot sports an 80s arcade game design. It presents Roasty McFry and his crew of firefighters in action; putting out the fire engulfing a 5-storey building. Roasty McFry is of course the highest paying symbol, awarding 1.5x, 2x, or 10x the Bet on 3, 4, or 5 occurring as winning matches. Other top-paying icons include a weird group of building tenants, in the likes of a Wizard, a Pirate, a Robot, and a Billy Goat. The Coin Symbols which are actually the A, K, Q, J and T characters may be the least paying totems, but they are the most significant. After all, one or more of those Coin icons can turn into Fire Symbols that further transform into identical images. This feature occurs only during base game plays and before a spin launches. Once on, it arbitrarily selects one or more, and even up to five of the A, K, Q, J, and T Coin totems. If the Coins selected are in view as outcomes of the next spin, those totems will turn into Fire Symbols. The Fire Symbols in turn will reveal multiple identical images. 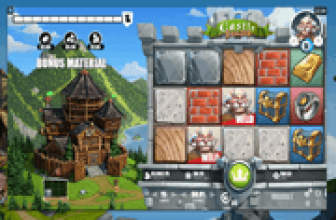 Five, four, or three Alarm Bell icons correspondingly activate 20, 15, or 10 Free-Spins as starter round. 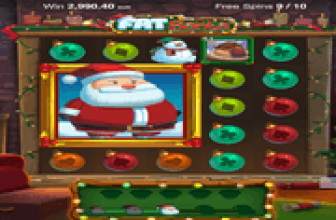 Advancing to the next level automatically adds two (2) additional free-spins to the remaining free games. To achieve this feat, players need to collect three (3) Alarm Bells with any bonus spin and at any point during the bonus bout. In addition to the Extra Bonus Spins, every Bonus Game level turns a Coin token into Fire Symbols. Coin Ignition Feature – Every floor of the building on fire is a bonus game level in which Fire Mystery Symbols will naturally occur. In the first game level, all T Coin icons appearing during the bonus round will turn into Fire Symbols. As Flame Busters players progress by unlocking Levels 2, 3, 4, and 5, the J, the Q, the K, and the A Coin totems become Fire Symbols in that particular order with every advancement. This denotes that by the time a Flame Busters player reaches Level 5, all Coin Tokens will become Fire Symbols. Flame Busters : Awesome Bonus Wins When all Coin Totems Turn into Identical Images! 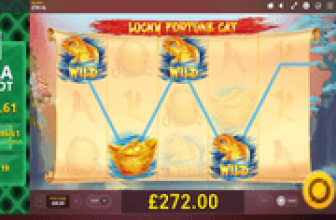 Flame Busters online slot features a 5-level Free-Spins Bonus Game that turns each type of Coin Totem into Fire Symbols with every game level reached. The Fire Symbol transformation continues throughout the round. Fire Symbols are Mystery Icons that will in turn, transform into identical images. During Base Game plays, Fire Symbols come around as natural occurrences, but could increase in number when the random Fire Drill Feature selects a Coin icon that will transform into Fire Symbols.